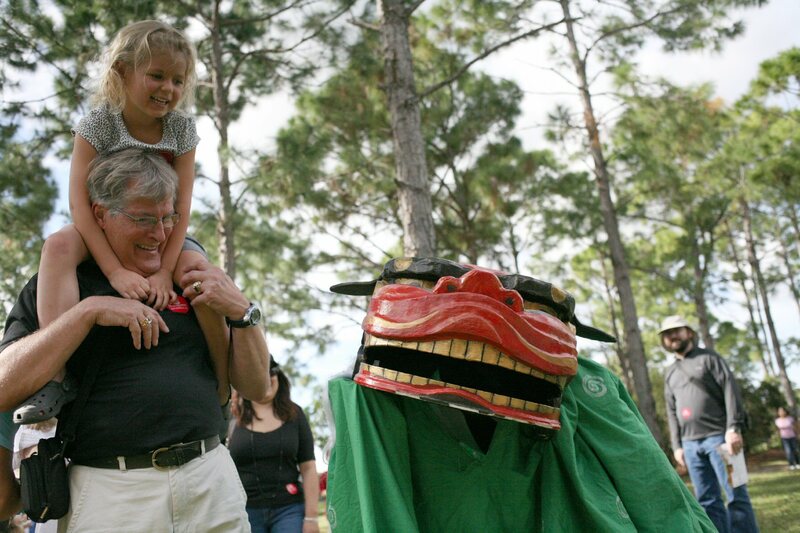 Q: What did you do as the Director of the Japan Center and Japan House at the University of West Florida? A: I supervised the Japanese language program, reviewed applications for the Florida-Japan Linkage Institute’s out-of-state-tuition exemption program, organized the annual U.S.-Japan Social Welfare symposium and Summer Semester in Japan program (in collaboration with a partner college in Japan), organized Japanese cultural programs and events, handled displays at the Japan House, served as a liaison for our sister city (Gero) and sister state (Wakayama), managed volunteers, etc. Q: It sounds like you had a lot on your plate at UWF, but all of them seem to stem from your interest in fostering understanding between the U.S. and Japan. What initially made you want to spread your love of Japanese Culture in the U.S.? A: I enjoy Japanese culture and thought that teaching and sharing it with American people would be a great way to keep learning about and enjoying it myself. Q: We know you’re originally from Japan, but what city did you grow up in, and when did you come to the U.S.? A: I was born and raised in a small town called Daigo in Ibaraki prefecture. The town is surrounded by mountains and has four distinct and beautiful seasons. I attended high school in Daigo and then went to Tokyo to attend college. I came to the U.S. 33 years ago with my husband, who was originally from Pensacola. I lived in Pensacola for the first 8 years, and then moved to Gulf Breeze where I lived for 25 years. I like to call Gulf Breeze and Pensacola my American hometowns. Q: Cuisine is one of our favorite things to talk about, so we just have to ask – what is your favorite American food? A: Steak. Although I only eat steak every once in a while, I like a good steak grilled medium rare with a baked potato with sea salt. 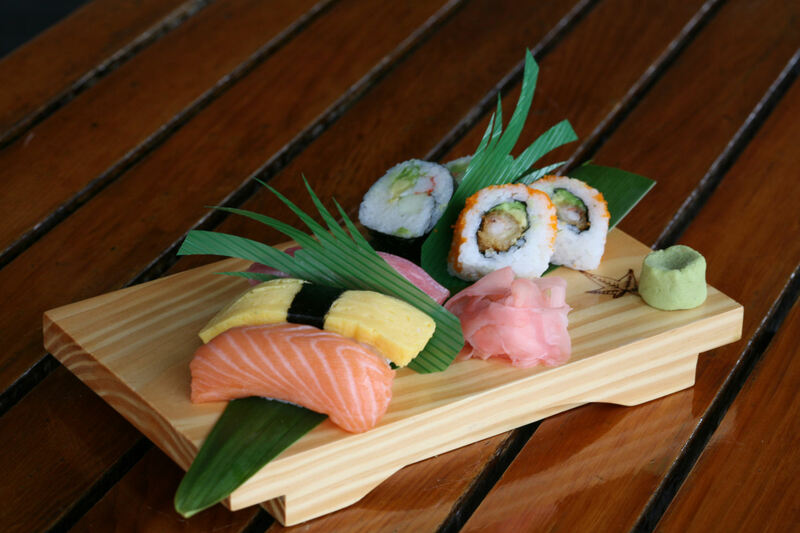 Q: Even though you’ve been in Florida for a while, you’ve only been with us a short time, so what has been your favorite part of working at Morikami so far? A: Being able to be involved in such a significant event as the Kōgei Arts and Crafts exhibit that is sponsored by the Japanese government’s Ministry of Foreign Affairs and Agency for Cultural Affairs as well as the Consulate General of Japan in Miami has been great. Not only do some of the objects in the exhibit come from the National Museum of Modern Art in Tokyo, many of them are made by National Living Treasures. To be able to get involved at this scale in such a high level exhibit is truly a privilege. Q: The Kōgei exhibit is certainly a big project, but are there any projects you are particularly excited to start working on here at Morikami after that? A: Working with docents makes me very excited. They are so knowledgeable and they’re wonderful people. I would like to share with them what I know about Japanese culture and learn about Morikami from them. Q: So, when you aren’t here learning from our top notch docents or helping others learn more about Japan what do you like to do in your free time? A: After cleaning house, I like to arrange flowers and have a cup of tea and some quiet time. This blog is written by the Morikami’s Director of Education Reiko (pronounced “Lay-ko”) Nishioka, who is native Japanese and later moved to the United States. In 2010, she will contribute to “More Morikami…” and share her cultural inspirations and memories. Happy New Year! In Japan, the New Year is celebrated for three days, from January 1 through 3. So when December 31 approaches, people become very busy. They clean and decorate their houses, cook meals for the time of holidays, pound rice for mochi (rice cake), write greeting cards and attend year-end parties. There is one more, very important thing that Japanese traditionally do at the end of the year, and that is clearing away all debts and obligations. PHEW! Lots of effort is given in preparation for the New Year, but on December 31 at midnight, the above activities stop. Bells at all temples ring 108 times which, according to the Buddhist religion, symbolize human desires. The last peal drives the desires away, and the new year is greeted in a pure condition. What I like about the Oshogatsu observance is the symbolism of time. Graduations, weddings or retirements are lifetime experiences; they are “knots” of life. Japanese call these fushi, like the knots of bamboo. This is where the significant border between the old and the new, and the symbolism of time, lie. For example, yesterday was December 31 and the end of the year; today is January 1, and everything is treated new, like a new “knot.” A lot of people go to see the first sunrise; we even cherish the first dream of the new year. 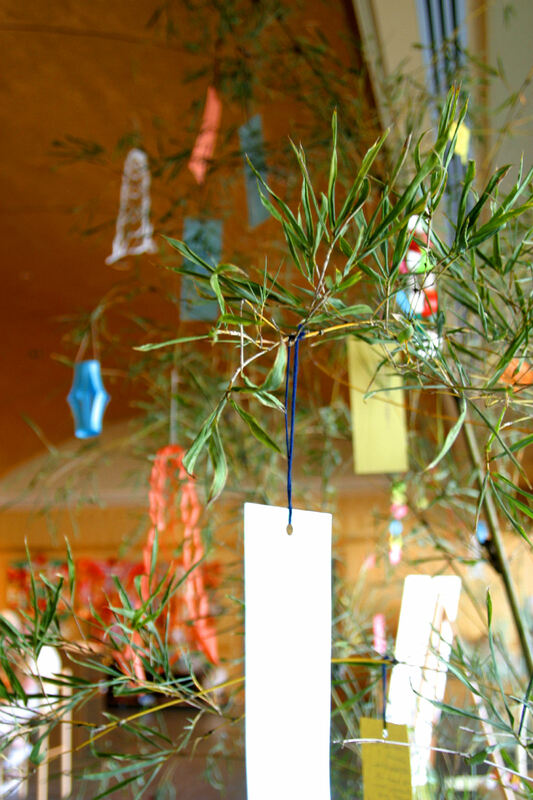 Whatever we do, we call it the “first …..of the year.” Oshogatsu is the time to renew. My memory of Oshogatsu is quiet and calm during the three days of observance. Stores are closed, and there is no cooking as meals have been prepared in advance. Therefore, we have enough time to reflect on the past year and make a wish or set a goal for the upcoming year. Oh, how I miss the quiet of those three days!